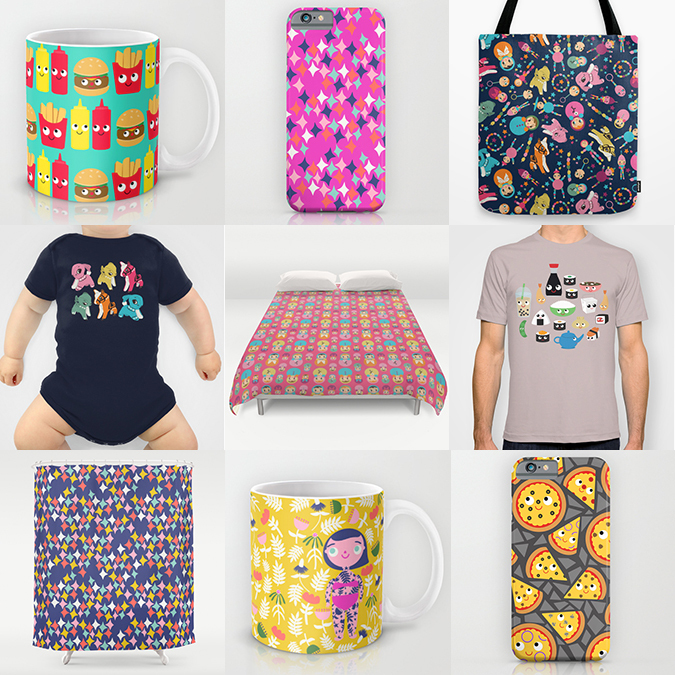 I finally updated my Society6 page with lots of new designs. If there is something you’ve been wanting from my spoonflower or things I’ve posted to be made into a society6 item and you don’t see it, just let me know! Tagged fabric design, my work. Bookmark the permalink. Aw thanks Fiona, luckily they seem to have sales all the time!